Dr Philippe Rott is Professor of Plant Pathology in the Everglades Research and Education Center at the University of Florida. He previously conducted research at CIRAD (the French Agricultural Research Center for International Development) for over three decades. Professor Rott is currently Chair of the Executive Committee of the International Society of Sugarcane Technologists. He has written widely on sugarcane diseases. Sugarcane is the source of over three quarters of the world’s sugar, and is grown widely in the tropics and sub-tropics. Despite rising demand, average yields have not increased significantly, partly because of continued vulnerability to pests and diseases. In addition, cultivation has been seen as damaging biodiversity and soil health with a negative effect on both yields and the environment. This volume summarises the wealth of research addressing these challenges. Volume 1 reviews cultivation techniques and sustainability issues. Part 1 summarises current best practice in sugarcane cultivation across the value chain, from planting through to post-harvest operations. Part 2 looks at ways of measuring the environmental impact of sugarcane cultivation as well as ways of supporting smallholders. 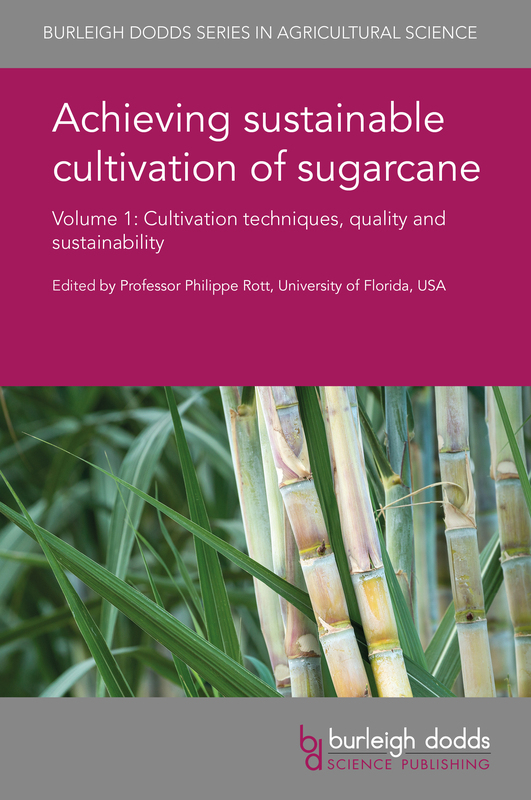 With its distinguished editor and international team of expert authors, this will be a standard reference for sugarcane scientists, growers, government and non-governmental agencies responsible for supporting and monitoring the impact of sugarcane cultivation. It is accompanied by a companion volume reviewing breeding, pest and disease management.